For those of you who don't know, my name is Dave Whitaker. A Cochran native, but have lived for over 30 years at my current home. 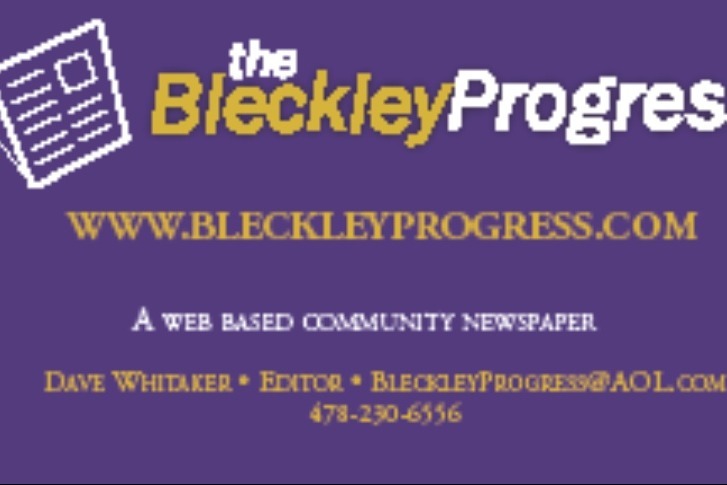 My dad, David Whitaker helped start bleckleyprogress.com almost 13 years ago because he believed in my talent. I am talented but have certain issues that make getting regular work difficult. In November of last year, my dad died unexpectedly of pancreatic cancer. And the settling of the estate is going slowly. Credit card companies which have to be paid off to prevent them from placing a lien against the property. I have limited income. My sister has her own debts, and is struggling to pay my dad's, plus help me. Plus, I'll be getting less money once everything is settled because of my intention to keep the home. So I am asking that if you can and wish to do so, to please donate. To help with my bills, to help ensure my future. Thank you. Two steps forward, two steps backward. Am going to have to shell out money to get the air conditioning fixed. With still no timetable on when things will actually be settled. Yeah. Sorry it's been a while, but have actual news to share. Trying to recover from having to pay $500 deductible after a minor collision with a deer. I *thought* things were close to being settled with the estate, farm land being sold. Right now, I don't think they are. I am trying to run my business, buy food, pay bills, live life, with limited income and credit cards. It's a hard battle as I continue to try & live alone. Anything you can do would be welcomed and appreciated. So again I ask, if you feel led to so, please consider helping. The estate is not settled, and I don't know what expenses await me. Your support is both needed and appreciated. Thank you. Will be getting a check from my dad's IRA. Unexpected. It will be going in business account. Will help. But it's not a problem solver, money from IRA is taxable. Unsure of what other expenses will be on me once estate is settled. Your help is still needed and appreciated. Thank you.